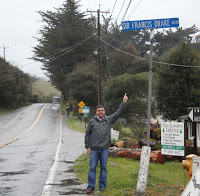 When in town, spending a few hours watching shipping lanes in the San Francisco bay area is an old pastime of the Oilholic’s, especially when it comes to spotting oil tankers which bring in some of the crude stuff to the area's refiners. 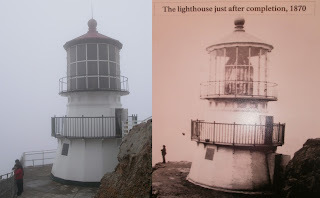 This morning, while sitting on Pier 39, yours truly spotted three pass by along with a few loaded containers - all following a well practised drill moving along a designated route under the Golden Gate Bridge, past Alcatraz Island before turning away left. Away from eye-view and the rather tranquil shipping lanes, there is local trouble at the mill for the already beleaguered refiners who have to contend with overcapacity and stunted margins. It comes in the shape of a gradual but steady implementation of California's (relatively) new environmental regulations by 2020. This piece of regulation is known as California's Global Warming Solutions Act a.k.a. the AB 32, the central objective of which is to reduce Californian greenhouse gas emissions to 1990 levels by 2020. According to the California Air Resources Board, in 2013 it will begin enforcing a state-wide cap on greenhouse gas emissions. The cap-and-trade programme coupled with the Low Carbon Fuel Standard would give California some of the most stringent air quality and emissions laws in the USA, although a spokesperson refused to describe it as such. Ratings agency Moody’s believes refining and marketing (R&M) companies Tesoro, Alon USA, Phillips 66 and Valero are particularly exposed to the gradual implementation of the new environmental rules. "California's increasingly stringent environmental regulations will challenge refiners over the next decade, increasing operating costs and negatively impacting refined product demand. These new rules will reduce cash flow that could be used for debt repayment or strategic growth and could discourage refiners from investing in California," says Gretchen French, a senior analyst and Vice President at Moody’s. Among the majors, Chevron which has a significant refinery capacity in California, is likely to feel the impact most among its peers. Nonetheless as ratings agencies generally tend to rate integrated oil & gas companies higher than R&M only companies, Chevron should have no immediate concerns. The company's long-term debt is rated by Moody’s Aa1 with a stable outlook according to a communiqué dated March 27th. The agency believes Chevron's ratings reflect its significant scale and globally integrated operations, its diversified upstream reserves and production portfolio, and a strong financial profile, which is underpinned by strong cash flow coverage metrics, low financial leverage, robust capital returns, and a conservative approach to shareholder rewards. Furthermore, Chevron's strong liquidity profile is characterised by free cash flow generation, ongoing asset sales proceeds, and a large cash position. Chevron's liquidity is further supported by US$6 billion of unused committed credit facilities due in December 2016. 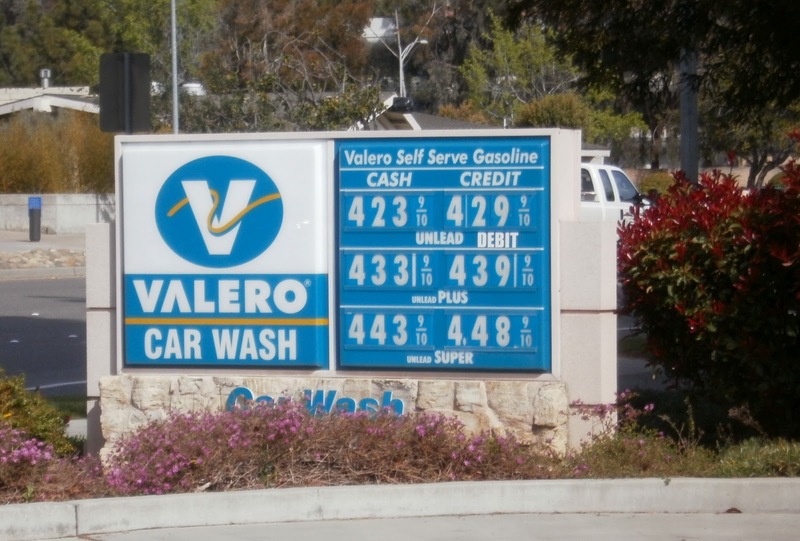 Moody's does not expect the new rules to affect the ratings for Tesoro, Alon, Phillips 66 or Valero either over the near to medium term, but the new standards could limit credit accretion. "Well diversified companies with high financial flexibility and strong liquidity will shoulder the new burdens and weaker demand most easily. Refiners with efficient cost structures and high distillate yields will retain the greatest advantage," French says. Additionally, a pool of commentators here in the Bay Area seem to suggest that most players – especially Tesoro and Valero – have had a fair bit of time to indulge in regulatory risk mitigation. This piece of legislation was to be expected as California has admirably been a state keen on conservation, forestry and the environment. The “Father of the US National Parks” – John Muir – an author, naturist and an early advocate of preservation of wilderness in the USA did most of his life’s important work here in California’s Sierra Nevada mountain range. In 1908, Muir who also founded one the country’s most important conservation organisation – the Sierra Club – had a national park named after him. This amazing redwood forest - the Muir Woods National Monument near San Francisco - now provides joy to countless visitors among whom the Oilholic was one this afternoon. More than six miles of trails are open for visitors to experience an easy walk on the valley floor through the primeval redwood forest. Though the forest is naturally quiet, the Oilholic is in agreement with the US National Park Service, that people are key to preserving the ancient tranquillity of an old-growth forest in our noisy, modern world. That’s all for the moment folks! Keep reading, keep it ‘crude’! © Gaurav Sharma 2012. Photo 1: Oil Tanker in the San Francisco Bay Area shipping lane. Photo 2: Valero Pump. Photo 3: Collage of Muir Woods National Monument, California, USA © Gaurav Sharma. The three cities being – Delhi, Doha and Vienna, the three reports being Oilholic’s work on Latin American Offshore, Shale Oil & Gas and Refineries projects outlook, research for which was spread over December, January and February from the 20th World Petroleum Congress to the 160th OPEC Meeting to the streets of ‘crude’ Delhi. The last of the three reports was published by Infrastructure Journal on Feb 29th and while the analysis in the reports remains the preserve of the Journal’s subscribers, the Oilholic is more than happy to share a few snippets starting with the Latin American offshore landscape, which shows no signs of a post ‘Macondo’ hangover . In fact, the month of May, will be a momentous one for the region’s offshore oil & gas projects market in general and Brazil in particular, as the country would dispatch its first shipment of oil from ultradeepwater pre-sal (‘below the salt layer’) sources. The said export consignment of 1 million barrels destined for Chile is a relatively minor one in global crude oil volume terms. However, its significance for offshore prospection off Latin American waters is immense. 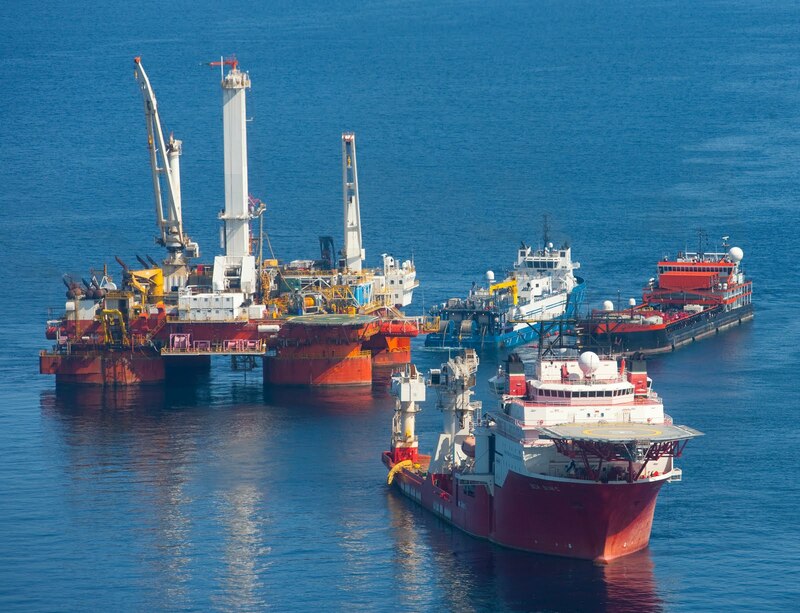 When thinking about Latin American offshore projects think Brazil; think Brazil and think Petrobras’ Lula test well in the Santos basin, named after the former president, which is producing 100,000 barrels per day (bpd). Almost over a third of the Chilean consignment originated from the Lula well according to the Oilholic’s sources. What should excite project financiers, corporate financiers and technical advisers alike is the fact the company expects to pump nearly 5 million bpd by 2020 and its ambitious drive needs investment. However, ignoring other jurisdictions in the region and focussing only on Brazil, its promise and problems would be a fallacy. Others such as Argentina, Columbia and prospection in Falkland Islands waters are worth examining, the latter especially from the standpoint of corporate financed asset acquisitions. Data always helps in contextualising the market movements. Using the present Infrastructure Journal data series on project finance, which commenced in 2005, figures certainly suggest the sun is shining on the Brazilian offshore industry. 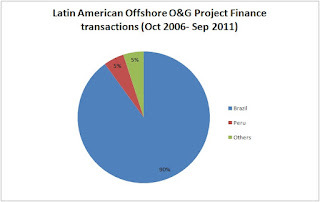 Of the 15 Latin American offshore projects on record which reached financial close between October 2006 and Sept 2011, 13 were Brazilian along with one apiece from Panama and Peru (Click on pie-chart above to enlarge). With a cumulative deal valuation of just under US$9.3 billion, among these Brazil’s Guara FPSO valued at US$1.2 billion led the way reaching financial close in June 2011. The year 2010, was a particularly good one for Brazil with five projects reaching financial close. Over the last three years, sponsors of offshore projects in the country have been consistent in approaching the debt markets and bringing three to five projects per annum to financial close, with 2011 following that trend. Moving on to the Oilholic’s second report, for all intents and purposes, Shale oil & gas prospection has been the energy story of the last half decade and Q1 2012 would be an apt time to scrutinise the ‘Fracks’ and figures. To say that shale gas has altered the American energy landscape would be the understatement of the decade, or to be more specific at least half a decade. Courtesy of the process of hydraulic ‘fracking’, shale gas prospection – most of which was initially achieved in the US by independent upstart project developers – has been an epic game changer. US shale gas production stood at 4.9 trillion cubic feet (tcf) by end-2011, which is 25% of total US production up from 4% in 2005. Concurrently, net production itself is rising exponentially owing to the shale drive according to the EIA. 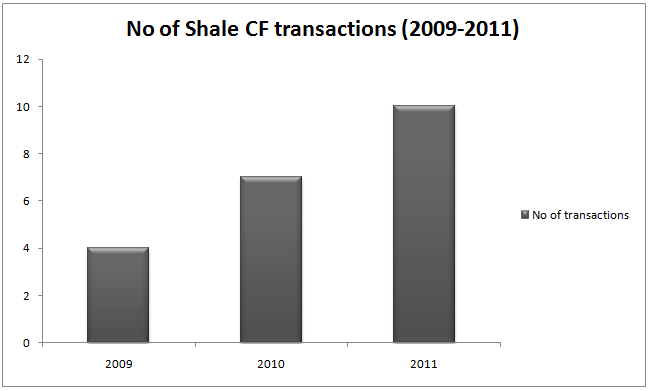 Project finance aside, it is in the corporate finance data where the shale story is truly reflected – i.e. one of a steady rise both in terms of deal valuation as well as the number of projects. From four corporate infrastructure finance deals valued at US$1.89 billion in 2009, both data metrics posted an uptick to seven deals valued at US$8.35 billion in 2010 and 10 deals valued at US$7.58 billion in 2011 (Click on bar-chart above to enlarge). However, a short term global replication of a US fracking heaven is unlikely and not just because there isn’t a one size fits all model to employ. While American success with shale projects has not escaped the notice of Europeans; financiers and sponsors in certain quarters of the ‘old continent’ are pragmatic enough to acknowledge that Europe is no USA. The recent shale projects bonanza stateside is no geological fluke; rather it bottles down to a combination of geology, American tenacity and inventiveness. Europe’s best bet is Poland, but European shale oil & gas projects market is unlikely to record an uptick between 2012 to 2017 on a scale noticed in North America in general and the USA in particular between 2007 and 2012. The financing for shale projects – be it corporate finance or project finance – would be a slow, but steady trickle rather than a stream beyond North America. Finally, to the Refineries report, given the wider macroeconomic climate, refinery infrastructure investment continues to face severe challenges in developed jurisdictions and Western markets. Concurrently, the balance of power in this subsector of the oil & gas infrastructure market is rapidly tipping in favour of the East. Even if refinery investment of state-owned Chinese oil & gas behemoths, which rarely approach the debt markets, is ignored – there is a palpable drive in emerging economies elsewhere in favour of refinery investment as they do not have to contend with overcapacity issues hounding the EU and North America. For some it is a needs-based investment; for others it makes geopolitical sense as their Western peers holdback on investing in this subsector. The need for refined products is often seen superseding concerns about low refining margins, especially in the Indian subcontinent and Asia Pacific. Industry data, empirical, anecdotal evidence and direct feedback from industry participants do not fundamentally alter the Oilholic’s view of tough times ahead for refinery infrastructure. As cracking crude oil remains a strategic business, investing in refinery infrastructure reflects this sentiment, investor appetite and financiers' attitudes. According to current IJ data, investment in refinery infrastructure via private or semi-private financing continues to remain muted; a trend which began in 2008. In fact, 2011 has been the most wretched year since the publication began recording refinery project finance data. Updated figures suggest the year 2010, which saw the artificial fillip of Saudi Arabia’s mega Jubail refinery project (valued at US$14.04 billion) reach financial close, has been the best year so far for refinery project finance valuation despite closing a mere two projects. However, industry pragmatists would look at 2008 which saw ten projects valued at US$9.39 billion as a much better year (Click on bar-chart above to enlarge). From there on it has been a tale of post global financial crisis woes with the market struggling to show any semblance of a recovery and most of the growth coming from non-OECD jurisdictions. In 2009, three projects valued at US$4.79 billion reached financial close, followed by two projects including Jubail valued at US$15.04 billion in 2010, and another two projects valued at US$1.49 billion in 2011. By contrast, the pre-crisis years of 2005, 2006 and 2007 averaged US$6.71 billion in terms of transaction valuations. A general market trend in favour of non-OECD project finance investment in refineries is obviously mirrored in the table of the top deals between 2005 and 2011 (above). Of the five, four are in non-OECD countries – led by Jubail Refinery (Saudi Arabia) valued at US$14.04 billion which closed in 2010, followed by Guru Gobind Singh Bhatinda Refinery, India (valued at US$4.69 billion, financial close – 2007), Jamnagar 2 Refinery, India (US$4.50 billion, financial close – 2006) and Paradip refinery, India (US$2.99 billion, financial close – 2009). Only one deal from an OECD nation, which is a very recent member of the club, made it to the top five, namely Poland’s Grupa Lotos Gdansk Refinery Expansion valued at US$2.85 billion which reached financial close in 2008. Simply put, the future of infrastructure investment in this sub-component of the oil & gas business lies increasingly in the East wherein India could be a key market. That’s all for the moment folks! Keep reading, keep it ‘crude’! Latin American Offshore O&G Outlook 2012: Brazil’s decade, By Gaurav Sharma, Infrastructure Journal, January 17, 2012. Available here. Shale Oil & Gas Outlook 2012: The ‘Fracks’ and figures, By Gaurav Sharma, Infrastructure Journal, January 25, 2012. Available here. Refinery Projects Outlook 2012: ‘Cracking’ times for Eastern markets, By Gaurav Sharma, Infrastructure Journal, February 29, 2012. Available here. © Gaurav Sharma 2012. Graphics: Pie Chart 1 – Latin American Offshore Project Finance transactions (October 2006 to Sept 2011), Bar Chart 1 – Number of Shale Corporate Finance transactions (2009-2011), Bar Chart 2 – Refinery Project Finance Valuation (2005-2011) © Infrastructure Journal. 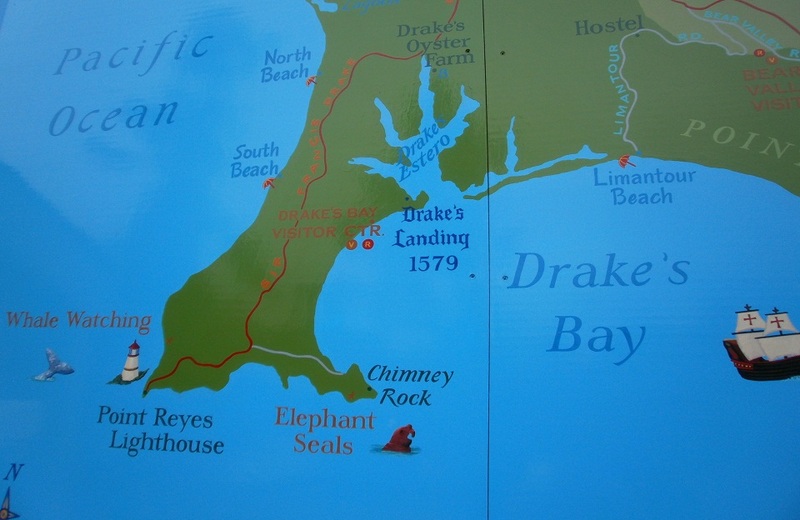 BP breathes a sigh; but end of legal woes not nigh! It has been a crudely British fortnight in terms of Black Gold related news, none more so than BP’s announcement – on March 3 – that it has reached a settlement of US$7.8 billion with the Plaintiffs' Steering Committee (PSC) for civil charges related to the 201 Macondo oil spill in the Gulf of Mexico. The US government maintains that the US$7.8 billion deal does not address "significant damages" to the environment but PSC-BP agreement is expected to benefit regional 100,000 fishermen, local residents and clean-up workers who suffered following the spill. BP says it expects the money to come from a US$20 billion compensation fund it had previously set aside and the response of the wider market and ratings agencies to the settlement has been positive. While reaffirming BP’s long term Issuer Default Rating (IDR) at ‘A’, Fitch Ratings notes that BP has adequate financial resources to meet its remaining oil spill related obligations currently estimated by the agency at US$20 billion between 2012 and 2014. This figure includes the remainder of BP's provisioned costs of US$10.6 billion and approximately US$10 billion of Fitch assumed additional litigation related payments, excluding potential fines for gross negligence. As of end-December 2011, BP had adequate financial resources to meet this obligation with US$14.1 billion of ‘on balance sheet’ cash and US$6.9 billion of undrawn committed stand-by and revolving credit lines. Additionally, the company plans to dispose of assets for about US$18 billion by end-2013 within its US$38 billion asset disposal programme. Fitch Ratings estimates BP's total Gulf of Mexico spill related payments, net of partner recoveries, will range between US$45 billion and US$50 billion assuming BP was not grossly negligent. BP's cash outflow related to the Gulf of Mexico oil spill amounted to US$26.6 billion by end-2011, net of partner recoveries. S&P also views the settlement as “somewhat supportive” for its ‘A/A-1/Stable’ ratings on BP and consistent with the agency’s base-case assumptions. “This is because the settlement addresses some material litigation and payment uncertainties, and because we understand that the plaintiffs cannot pursue further punitive damages against BP as a condition of the settlement,” it says. BP has not admitted liability and still faces other legal claims at State and Federal level. Nonetheless, while the settlement is credit supportive, market commentators in City feel the uncertainty related to the total oil spill liability is not ending any time soon. The Oilholic feels an investigation by US Department of Justice against BP into the oil spill incident encompassing possible violations of US civil or criminal laws could be a potential banana skin as no love has been lost between the two. With several cases still ongoing, a settlement with PSC was a first of many legal hurdles for BP; albeit an important one. Away from the legal wrangles of “British Petroleum” as US politicians love to call it, Brits themselves had to contend with a record high price of petrol at the pump this week – an average gas station forecourt quote of 137.3 pence per litre on March 5, according to the UK Department of Energy and Climate Change (DECC). The previous record of 137.05p was set on May 9, 2011. However, private research by Experian Catalist says the high is a little “higher” at 137.44p per litre. And if you thought, the Oilholic’s diesel-powered readership was faring any better, the diesel price is hit a record high of 144.7p per litre, up 0.8p from the previous UK record, which was set the week before! As if that wasn’t enough – the country’s (Markit/CIPS) Purchasing Managers' Index (PMI) for manufacturing slipped to 51.2 in February, down from 52 in January with analysts blaming the high cost oil for manufacturers which rose at the fastest rate in 19 years. It presents another serious quandary for UK Chancellor George Osborne who’s due to table his government’s Union budget on March 21st. From the price of the refined stuff at British gas station forecourts to the price of a barrel of the crude stuff on the futures market – which saw Brent resisting the US$125 level and WTI resisting the US$106 level for the forward month contract. Myrto Sokou, analyst at Sucden Financial, reckons stronger US economic data brought back risk appetite and improved sentiment this week. Greece is going to be a main focus for the market with hopes of a positive result on its debt bailout, Sokou adds, but amid renewed rumours whether it would be better for the country to leave the Euro. Cautious optimism is ‘crudely’ warranted indeed. 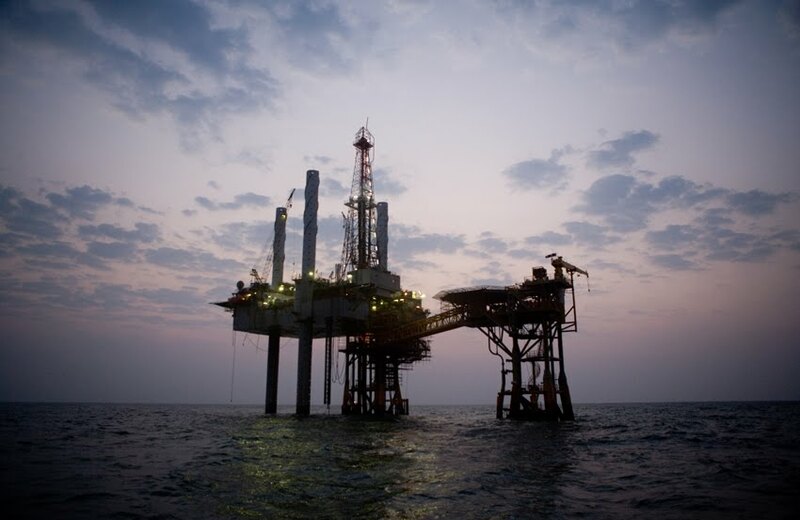 Elsewhere, the Indian government's attempt divest a 5% stake in one of its NOCs – the Oil and Natural Gas Corporation (ONGC) – via public share offering fell marginally short of expectations last week. Despite tall claims of oversubscription, only 98% of the shares on sale were subscribed. With high hopes of raising something in the region of US$2.5 billion, the government had offered 428 million shares at a price of INR290 per share (approximately US$5.85 and 2% higher than ONGC average share price for February). However, the Oilholic thinks that even for a company which admittedly has a massive role in a burgeoning domestic market, the price offer was strange at best and overpriced at worst. This probably put off many of the country’s average middle tier investors, especially as many used February’s price as a reference point. Who can blame them and perhaps the Indian government is wiser for the experience too. That’s all for the moment folks. Keep reading, keep it ‘crude’! © Gaurav Sharma 2012. Photo: Aerial of the Helix Q4000 taken shortly before "Static Kill" procedure began at Macondo (MC 252) site in Gulf of Mexico, August 3, 2010 © BP Plc. The LNG business has evolved more over the last ten years than it ever did over the preceding five decades. From a point in time in history when energy majors considered finding gas a disappointment during exploration and production drives to the present multijurisdictional nature of the LNG business; the transformation has been truly unique. All the while, challenges posed by the low price of natural gas, gas-oil price differential, overcapacity in some markets and the perceived US shale gas bonanza lurk in the backdrop. Inevitably, disputes arise and many end up in court. Currently, in its second edition, the book Liquefied Natural Gas: The Law and Business of LNG, a compendium of thoughts from authors with a legal background, attempts to address the information appetite for legal, regulatory, political and practical elements of the LNG chain. This edition of just fewer than 300 pages split by fourteen chapters – each of which has been authored by a legal industry expert – is a handy reference guide. Structuring and financing of LNG projects, LNG trading, sale and purchase agreements, shipping, FLNG, import terminals have all been examined and in some detail. Two brilliant chapters specifically dwell on the natural gas price reopeners vis-à-vis English law and Shale gas. Content of this book should sit happily on any legal expert’s bookshelf, especially those involved in the due diligence for LNG projects and allied infrastructure including import and export terminals. It would be unfair to pick a few favourites as the whole volume is a thoroughly good read, but if asked which ones the Oilholic particularly liked, then they would be Matthew Griffiths’ chapter on Floating LNG, David Gardner’s on LNG Shipping and Paul Griffin’s introduction to the whole volume. The latter beautifully sums up the evolving nature of the LNG business (and indeed the publisher’s commercial reason for bringing out a second edition). As a regional business has slowly evolved or quickly morphed – depending on your point of view – into a truly global one, it is also perceived as a minefield for disputes, more so in an era of resource nationalism. In such a setting, this book more than fulfils its pragmatic purpose for legal professionals whether you are a private practitioner or one attached to a commercial establishment ranging from utilities to banking. As with a specialist title of this nature, you will need a mid to high level of industry knowledge to fully appreciate the book, should you have a non-legal remit within the energy business. While envisaged as a written work aimed at legal professionals and industry experts, it is the Oilholic's considered viewpoint that it would be well worth the while of law and energy business students and academics to glance at this title too. © Gaurav Sharma 2012. 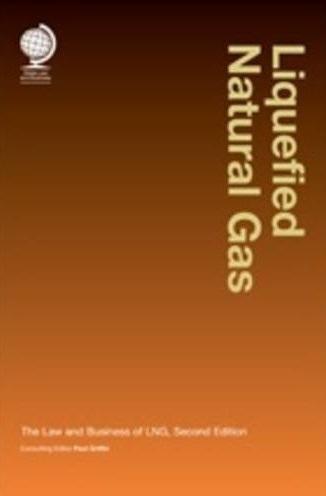 Photo: Front Cover (Second Edition) – Liquefied Natural Gas: The Law and Business of LNG © Globe Law and Business.